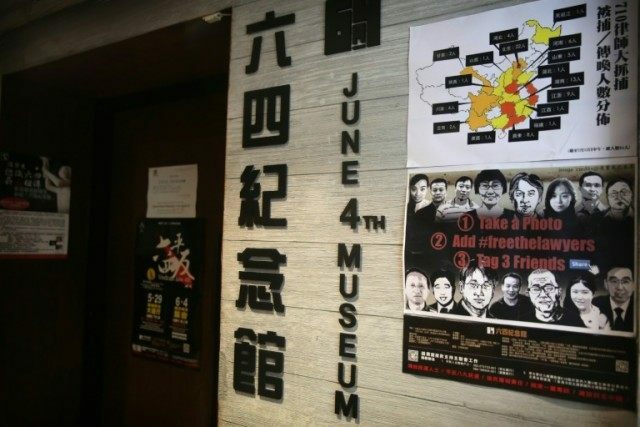 Hong Kong (AFP) – The world’s first museum dedicated to China’s Tiananmen Square crackdown is to close its doors in Hong Kong, with organisers saying they believe they are being targeted for political reasons. “I tend to believe they are politically motivated… the other side seem to have unlimited resources,” said lawmaker Albert Ho, chairman of the Alliance. Museum organisers say they cannot afford to continue the protracted legal battle — the tenants have been pursuing the issue since it first opened. The 800-square-foot (74 sq m) museum is in the commercial district of East Tsim Sha Tsui and features video clips and photographs.